Can Thursday sitcoms thrive again on NBC? Will new ‘TGIT’ still make us “Thank Goodness”? And which network is gonna win this thing? Sorry, 68th Emmy Awards: we’re looking past you. The traditional fall TV season begins in earnest Monday evening, when the five-English language broadcast networks will fight even harder for your valuable attention. With the ramped-up competition comes some very important questions we’re still awaiting answers on. 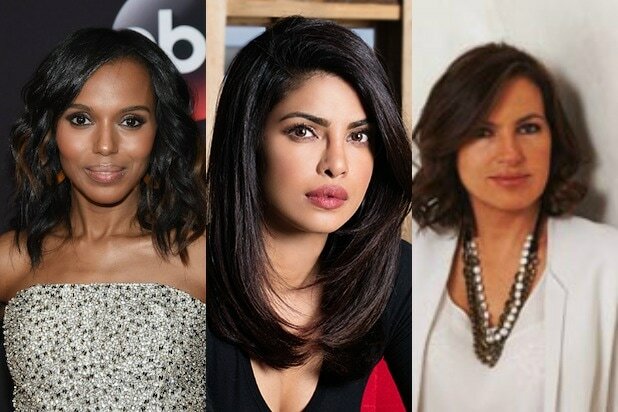 TheWrap has identified one burning issue apiece for broadcasters CBS, NBC, Fox, ABC and the CW. Let’s see if we can shed a little light on the new season. Also Read: Fall TV Ratings Preview: As CBS and NBC Do Battle, Will Super Bowl Make Fox a Winner? Can NBC Actually Make Thursday “Must-See” Again? Probably not. NBC finally gave up on comedy altogether on Thursday nights in the winter of the 2014-2015 season, after its 2014 crop of comedies was eaten by a horde of locusts. It’s trying again this year with sophomore “Superstore” and new Ted Danson/Kristen Bell comedy “The Good Place.” Though both comedies are charming, it’s almost impossible to bring an audience back to a time slot that they aren’t used to. Worse, the comedies’ runs will soon be interrupted by the arrival of NBC’s five-game “Thursday Night Football” package, and while there is some promotional value to be gleaned from the NFL, “Superstore” and “Good Place” just aren’t broad enough to keep the masses that tune in to the NFL. But that doesn’t mean NBC will give up on comedy again, and the network is far more patient in these End Times with low-rated comedies. How Will a CW “Supergirl” Look, Perform? “Supergirl” getting picked up by The CW for a second season after running its first season on CBS was certainly unusual, and immediately speculation began about budget cuts, production relocations and cast exits. While Los Angeles made for a distinctly sunny and unique National City, will Season 2 look more like the darker and grittier streets of Vancouver used on “The Flash” and “Arrow”? How will “Supergirl” look and perform without one of its brightest spots in Calista Flockart, who downgraded to recurring after the move? 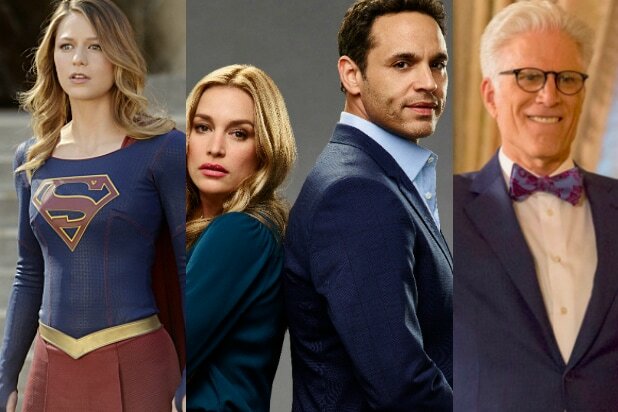 The show already has a high standard to live up to: Network president Mark Pedowitz confidently predicted at his TCA executive panel that “Supergirl” will be The CW’s highest-rated show come fall. Also Read: What's at Stake for Networks Gearing Up for the New Fall TV Season? Was Breaking Up “TGIT” a Mistake, and Is “Notorious” Worth It? Can CBS Teach Old Multicam Stars New Tricks? CBS is banking on both Kevin James and Matt LeBlanc to carry new multi-cam comedies this season. Both men are veterans of the format, serving multiple years on “King of Queens” and “Friends”/”Joey,” respectively. The problem? Neither has been on this particular type of show in years. LeBlanc left series TV after his “Joey” ended in 2006, only to return a few seasons later with the single-cam series “Episodes.” Meanwhile, James has mostly been focusing on movies. Will they be able to return to their old stomping grounds with the success of their previous endeavors? Can Fox Take Traditional Fall TV Season With Just “Empire,” Super Bowl LI? This September-May fall TV season is a bit more up-for-grabs than some recent ones, as NBC must live without the Winter Olympics and CBS won’t repeat 2015-2016’s Super Bowl rights. Both of those networks are definite contenders to top the advertiser-coveted 18-49 demographic, though Fox has a Hail Mary in Super Bowl LI. The last time Fox had the big game, it finished second in the eight-month race among that main age-range — and back then, it didn’t even have “Empire” (though it did have “American Idol”). So, we’re telling you there’s a chance — albeit, not a great one. Beyond that, we’ve got to punt for now on this topic — but click here to read a more in-depth fall TV ratings preview piece for the fall. Those are the fall TV things keeping us up at night — but, surely readers have their own questions. Leave them in the comments section and we’ll do our best to answer. On the flip side, if you’ve got answers to our questions, we’re all ears.